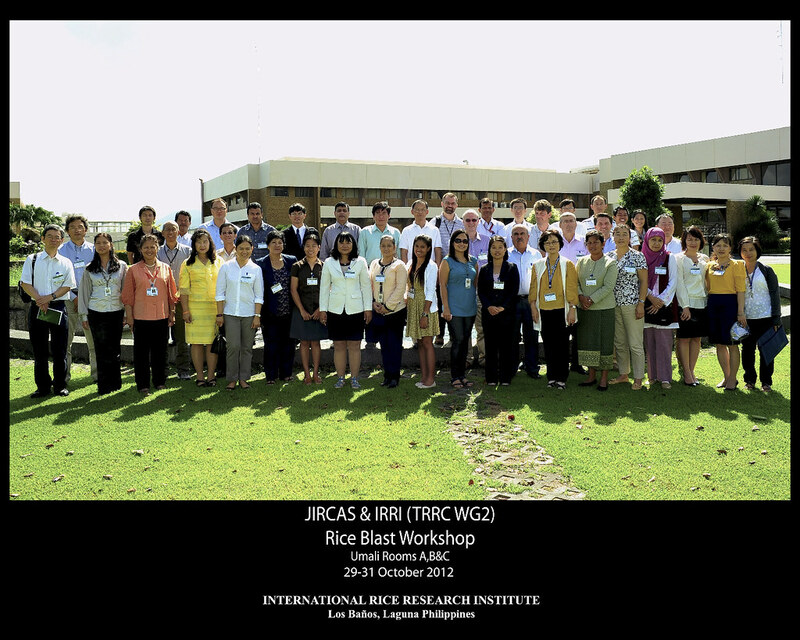 Twenty-five participants from member countries of the JIRCAS Blast Research Network and 10 participants from the TRRC Blast Working Group will present on the differential system for blast studies and their research achievements and plans. The workshop presents many exciting opportunities for learning and group discussions. Hands-on sessions have been arranged on newly developed technologies, such as evaluation of infection on monogenic lines, new designation system for blast races, and estimation of genotypes for blast resistance genes. Participants also went a field visit to the IRRI Blast Nursery to check the reaction of virulent blast races to resistance genes and to see a practical demonstration at the IRRI Molecular Marker Application Laboratory. The workshop brings together scientists from 15 countries across South Asia, Southeast Asia, Europe, and America, plus representatives from JIRCAS and IRRI. Eero Nissilä, in his opening remarks as head of the IRRI Plant Breeding, Genetics, and Biotechnology Division and leader of the Varietal Improvement Program, noted that this is the first time the JIRCAS Blast network and the TRRC Blast WG have combined efforts to focus on blast research. 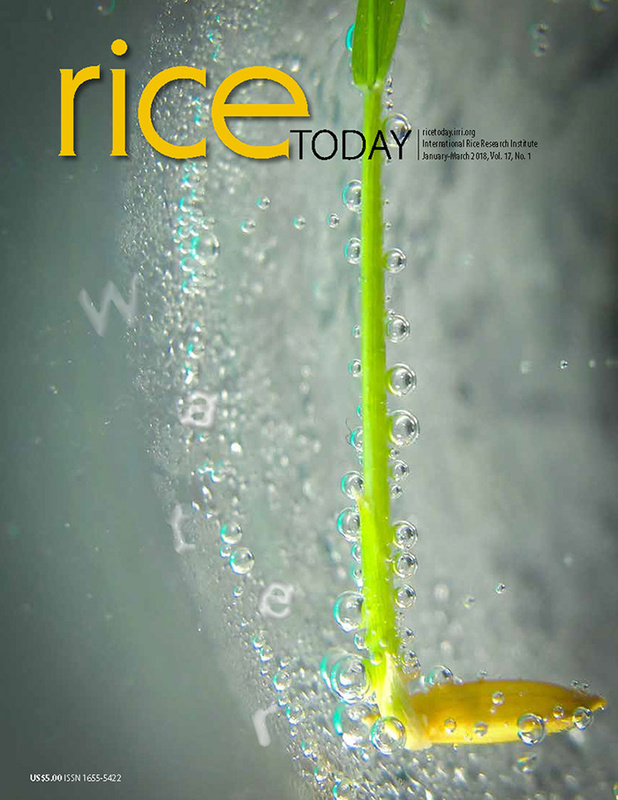 In an extensive introduction on the history of blast research and the network, Hei Leung (IRRI principal scientist and leader of the Genetic Resources Program) reflected on the beginnings of blast research, dating back from IRRI’s inauguration in the 1960s where the rice blast pathosystem was started, to the 1980s when partial resistance and immunity was achieved, and the 1990s when the stable resistance concept was started, up to the 2000s when many developments occurred because of advances in molecular biology. Dr. Leung said that the real challenge now is for scientists to get the best mix in reconstituting stable blast resistance using the many tools now available. To achieve this, he said that international cooperation for multiple screening at sites to validate the effectiveness of resistance is needed, and that this joint workshop was a good start. The workshop was coordinated by K.K. Jena, IRRI senior rice breeder and TRRC WG2 coordinator, and Yoshimichi Fukuta, JIRCAS project leader.